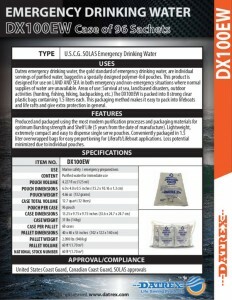 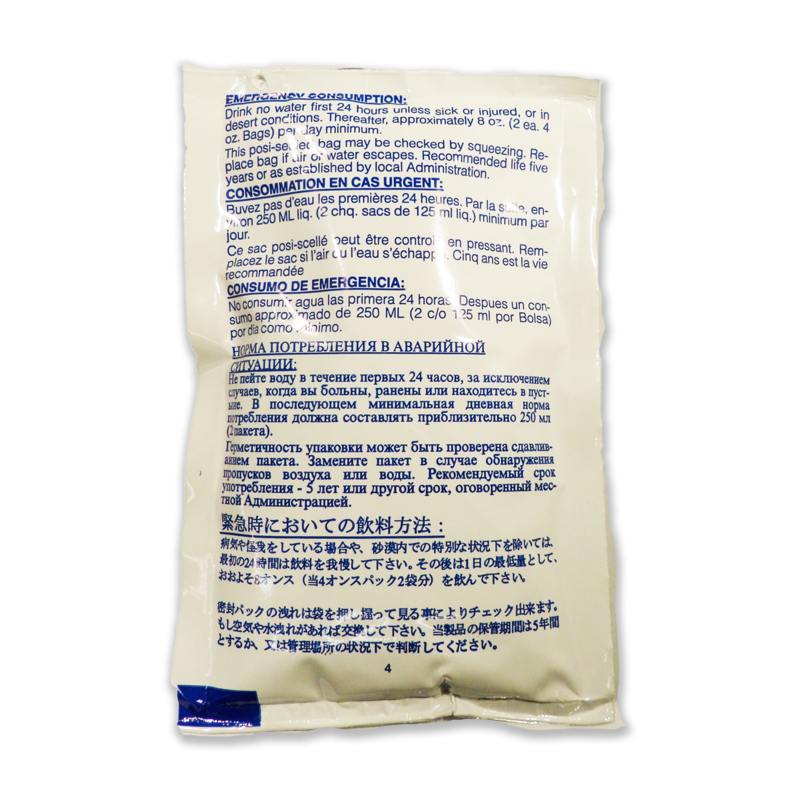 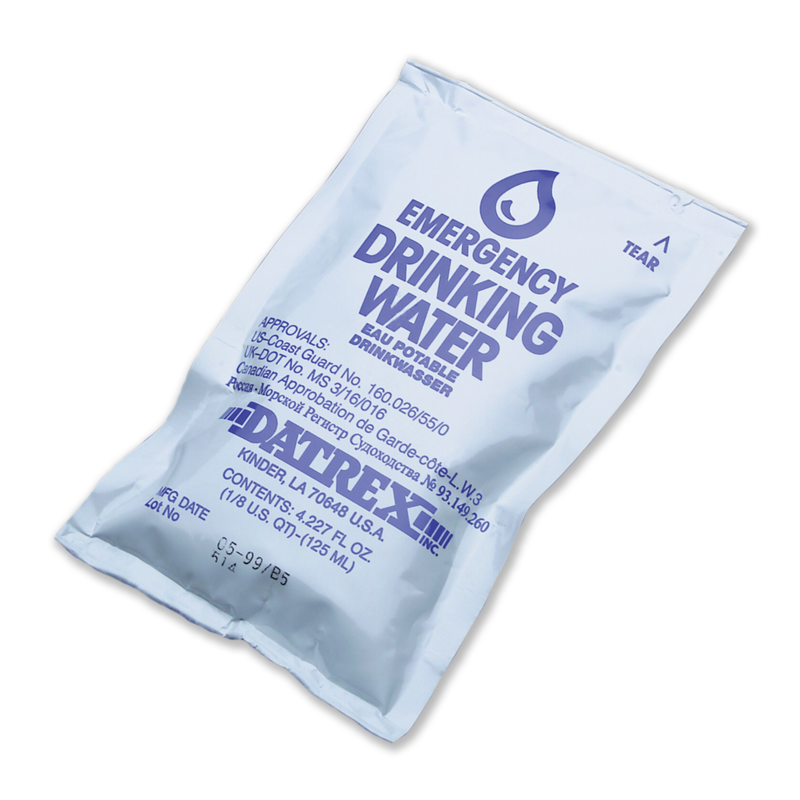 The DX100EW is packed into 8 strong clear plastic bags containing 1.5 liters each. 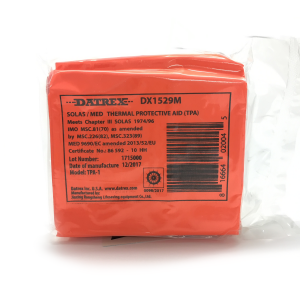 This packaging method makes it easy to pack into lifeboats and life rafts and give extra protection in general. 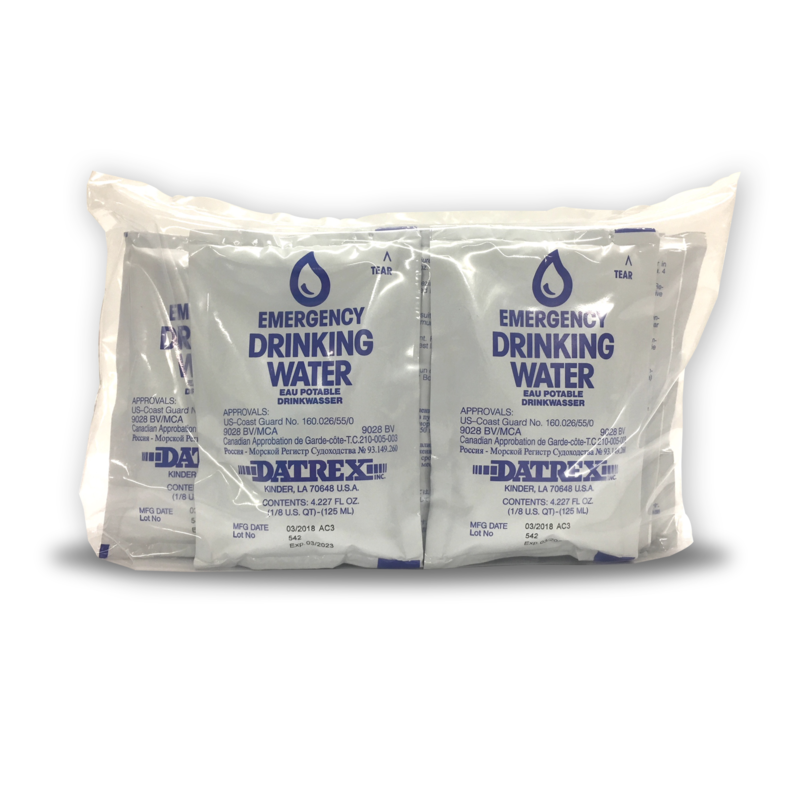 Produced and packaged using the most modern purification processes and packaging materials for optimum Bursting strength and Shelf Life (5 years from the date of manufacture). 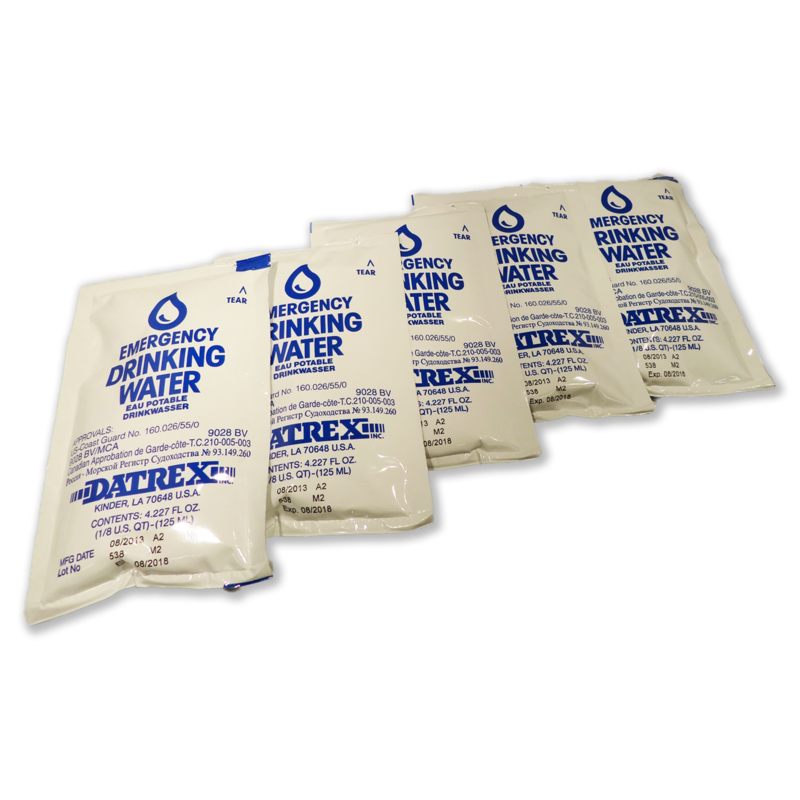 Lightweight, extremely compact and easy to dispense single serve pouches. 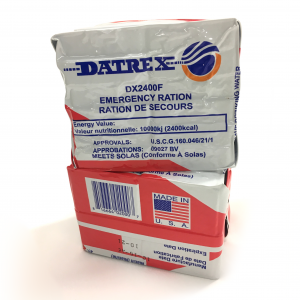 Loss potential minimized due to individual pouches.